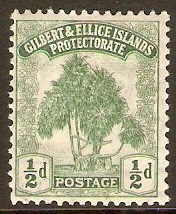 Gilbert and Ellice 1911 ½d Green. SG8. Mounted mint 1911 ½d Green. SG8. 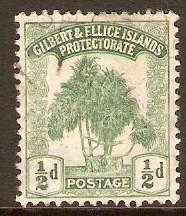 Gilbert and Ellice Islands 1911 ½d Green. SG8. Fine used 1911 ½d Green. SG8. Gilbert and Ellice 1911 1d Carmine. SG9. Mounted mint 1911 1d Carmine. SG9. 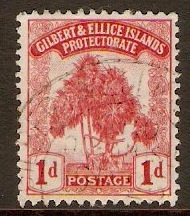 Gilbert and Ellice Islands 1911 1d Carmine. SG9. Fine used 1911 1d Carmine. SG9. 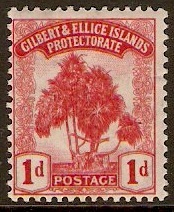 Gilbert and Ellice 1911 2d Grey. SG10. 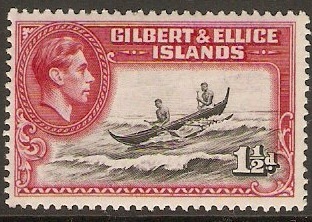 Mounted mint 1911 2d Grey. SG10. 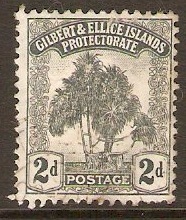 Gilbert and Ellice Islands 1911 2d Grey. SG10. Fine used 1911 2d Grey. SG10. 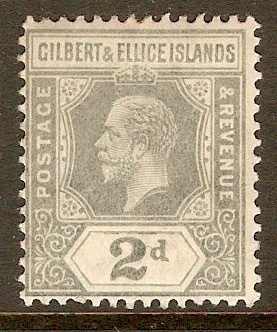 Gilbert and Ellice 1911 2½d Blue. SG11. Mounted mint 1911 2½d Blue. SG11. 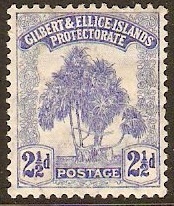 Gilbert and Ellice Islands 1911 2½d Blue. SG11. 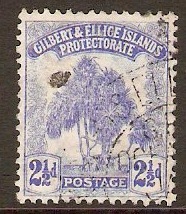 Used 1911 2½d Blue. SG11. 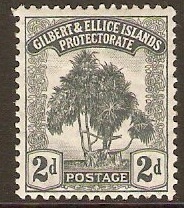 Gilbert and Ellice 1912 2d Greyish slate. SG14. Mounted mint 1912 2d Greyish slate. SG14. 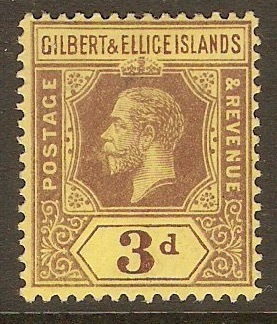 Gilbert and Ellice 1912 3d Purple on yellow. SG16. Mounted mint 1912 3d Purple on yellow. SG16.